According to TenDaily, around 60% of the liquid analysed as nicotine-free, contained the nicotine. All liquids tested showed traces of the toxic chemical 2-chlorophenol, TenDaily said. Head researcher Alexander Larcombe, said he was surprised to find the toxin. “It’s classified as acutely toxic,” Professor Larcombe said. 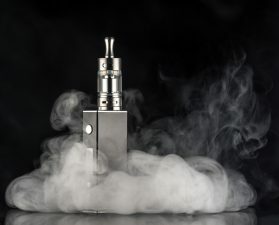 “We also found other things — by-products of animal or human bodily function– which indicates the process of making the e-liquids might not be as clean as you might hope,” he said. TenDaily said other ingredients used to make soap, detergents and solvents were also found. The soap/detergent ingridients would by glycerin which is also used as a sweetener.